Why McGill University is Great for International Students McGill is Canada’s most international university, and certainly one of the most diverse campuses in the whole of North America. McGill University has the highest percentage of international students among Canada’s top research universities. McGill is Canada’s most international university, and certainly one of the most diverse campuses in the whole of North America. McGill University has the highest percentage of international students among Canada’s top research universities. Faculty members coming from across the world, and many dynamic international partnerships, where McGill’s connections span the globe. The educational and personal contacts made at McGill yield lifetime benefits. As part of the most international student body in Canada, you’ll be exposed to a breadth of global perspectives that will enrich your research and your life. International students make up roughly 23% of McGill’s 36,500 students. McGill has ranked among the top 25 universities globally for 12 consecutive years, and consistently places first as the best university in Canada for Doctoral/Medical studies, as ranked by QS Global World Ranking. The ability to balance academic excellence with extracurricular activities is another hallmark of the McGill student. By choosing McGill, you’ll join a distinguished community of scholars, consisting of nearly 10,000 graduate students and postdoctoral scholars from across the globe, and making connections that will last a lifetime. Why Should You Attend McGill? McGill has a strong focus on interdisciplinary work with over 1,600 tenured faculty members researching and teaching in more than 400 graduate programs. Students come to experience cutting-edge facilities housed in more than 100 research institutes and centres. A positive supervisor relationship is critical to successful research and McGill offers a host of resources to help you find a supervisor and maintain an excellent supervisory dynamic. McGill has and continues to write, a prestigious history since its founding in 1821. The Faculty of Education traces its beginnings back to 1857 when the McGill Normal School was established at McGill by agreement between the University and the Government of Quebec. In 1907, it was renamed the School for Teachers and was moved to Ste. Anne de Bellevue where it became part of Macdonald College. At this time also, the Macdonald Chair of Education was endowed at McGill University and a Department of Education was created in the Faculty of Arts and Science for the purpose of preparing candidates for the High School Diploma. The first graduate program was inaugurated in 1930, and in 1953 the University established the B.Ed. degree. Like other faculties of education in Quebec and Canada, the Faculty has had a traditional role in the initial training of teachers and leaders in education-allied occupations. It also is concerned with generating knowledge through research and scholarship and with providing professional development services to the wider educational and information communities. McGill is known for attracting the brightest minds from across Canada, the United States and around the world. It boasts the most international student body in Canada, a dedicated award-winning faculty and a thriving alumni network of 250,000+ around the globe. 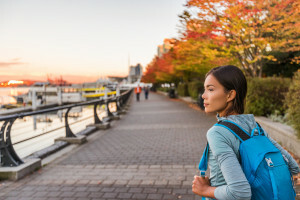 Living in Montreal, Quebec, Canada will offer you a wealth of opportunities – and the chance to have some fun along the way. Canada is one of the finest countries in the world – vast, beautiful, peaceful, and home to an exceptional higher education system. Quebec is Canada’s largest province geographically, and the only Canadian province with French as its official language. That said, English and French coexist and services are available in both languages, along with a variety of other languages as well. 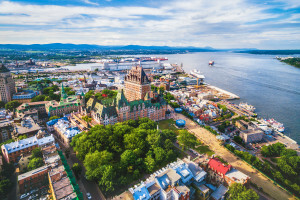 Living and travelling in Quebec enables francophones from around the world to communicate in their native tongue, and gives non-francophones the opportunity to learn or improve their French. While McGill’s language of instruction is English, you are welcome to submit your essays, examinations and theses in French. The University offers very affordable French courses for full-time students to help them appreciate the culture of Quebec and the city of Montreal. Montreal is an ideal place to live while you pursue your graduate studies. It’s an affordable, safe, multicultural, cosmopolitan city located east of Toronto, and north of New York City. 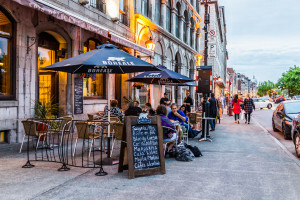 Montreal sparkles with culture, from Cirque du Soleil, the International Jazz Festival and the Just for Laughs Comedy Festival to the vibrant harmony of live bands and spirited patio conversations. The city’s diverse architecture juxtaposes elegant heritage buildings with some of North America’s most unique and exciting structures. Only here can graduate students live such a comfortable life. Rent is significantly lower than in other major university cities. The cost of a Montreal apartment in the city’s centre will cost you $927.78 per month. Yeah, maybe a 3 1/2 in Old Montreal, but we know better than that. Most Montrealers and students alike live with roommates, which drastically cuts down the price of rent All areas of the city are easily accessible through the Metro subway system and numerous bike paths, so you don’t need a car to get around. Montreal is also a centre of economic development. Many international institutes, pharmaceutical and financial companies, and aeronautical firms are based here, leading to plentiful employment opportunities after international students graduate. As one of the world’s foremost producers of interactive entertainment, Montreal continually garners an excellent reputation for its cultural exports. Think that McGill is the perfect place for you? To learn more click here.